Whisenhunt said the jet, in Corso Red Vitesse design, “will extend our range and help us reach more regions for our business. It will cut a lot of our trips in half.” Sen. Amy Klobuchar (D-Minn.) and Rep. Rick Nolan (D-Minn.) attended the ceremony. Both celebrated the recent release of the revision of FAA’s Part 23, streamlining the pathway to innovation for companies such as Cirrus, they said.The lawmakers were part of the congressional effort to press for Part 23 reform. Cirrus reported a current backlog of some 600 Vision jets. In 18 months, employment at Cirrus in Duluth has increased from 600 to almost 800. Plans call for adding 70 more in the coming months. Cirrus’s Grand Forks, North Dakota manufacturing facility has 200 workers and is growing. The new “Vision Center” customer service facility in Knoxville, Tennessee, will expand its workforce from the current 35 workers to nearly 100 over 2017, according to Cirrus. 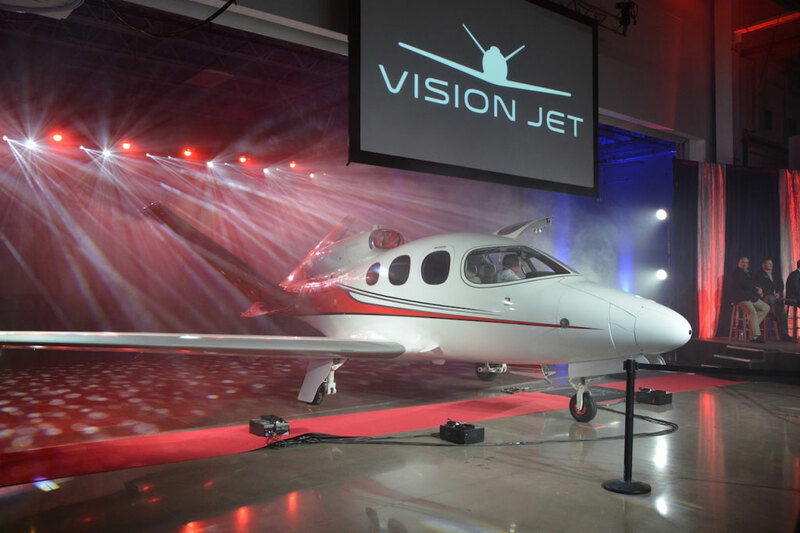 Delivery of the first Vision Jet follows U.S. FAA certification in October.